Place the oats, pumpkin seeds, sunflower seeds, coconut, pecans, maple syrup, coconut oil, sugar and salt in a large bowl and mix until well combined. Spread the granola mixture in an even layer on a baking sheet. Transfer to the oven and bake, stirring every 10 to 15 minutes, until the granola is toasted, about 45 minutes. 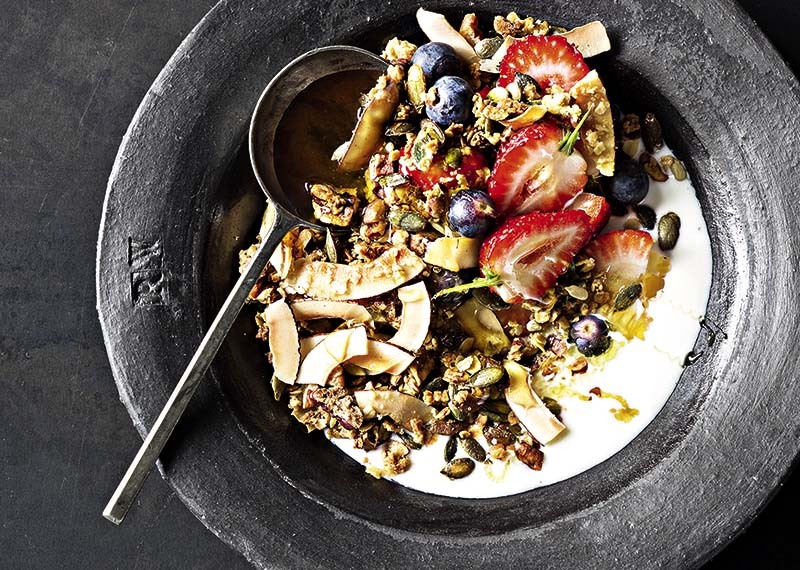 Remove the granola from the oven and add the toasted coconut. Cool completely before serving or store in an airtight container for up to 1 month.